British Airways to launch ‘CombiFare’? British Airways appears to be gearing up to launch its own version of ‘CombiFare’, the innovative Virgin Flying Club feature which I have praised in various articles. This is based on a new customer survey which went out to various British Airways Executive Club members this week. CombiFare is a very simple idea which makes perfect sense – which may be why Virgin Atlantic is the only airline so far to do it! It is hugely frustrating to find that you can book half of a reward ticket but cannot find seats for other leg. On short haul flights it isn’t so bad, because British Airways sells one-way fares on its short-haul routes which you can match with a redemption seat in the other direction. On long-haul it is usually a different matter. In general, the only one-way tickets you can buy on long-haul routes are hugely expensive flexible tickets which cost substantially more than a refundable return ticket. This is no help at all with your award planning. As you can read here, the Virgin Atlantic version of CombiFare allows you to book a flight with one leg booked using Flying Club miles and the other leg booked for cash. The key is that the cash element will be 50% of the equivalent return ticket for the same flight, not the extortionate cost of a one-way ticket. Virgin only allows CombiFare based on Economy and Premium Economy, not Upper Class, although you can mix them with an Upper Class redemption leg. an Avios redemption is available for the return but the outbound flight is not available. A one-way World Traveller Plus ticket would cost £1,750 as BA only sells flexible tickets as one-ways. This makes the whole trip impossible. There are various tweaks to this formula. Which classes are included? Can you mix and match classes (you can with Virgin) flying Club World on Avios outbound and back for cash in World Traveller? What are the cancellation policies, given that the cash element is based on a non-refundable ticket? Can you book the cash flight in a refundable ticket class for more money (you can with Virgin)? Could it be combined with a BA Amex 2-4-1 voucher? It isn’t clear when British Airways is looking to roll this out, if indeed it does, but it will be a valuable addition to your arsenal for those people ‘in the know’. 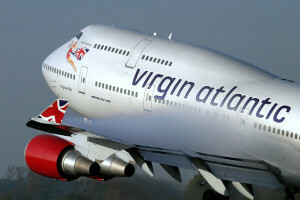 Virgin Atlantic has always struggled to sell the CombiFare concept to a wider audience, however. Sigh reminds me of cash and miles with BMI – sigh. Slightly off topic here but I just cancelled by BA Premier and the email I received from AMEX said “any earned companion voucher will become void” I don’t think this is true and the voucher is still confirmed in my BA account. Any thoughts? Never happened, ever, to anyone before. It will happily sit in your BAEC account until used! Just need to use any sort of Amex to pay the fees and taxes when redeeming.